CCCD helps people use the cooperative model to cooperatively accomplish what they may not be able to achieve on their own. CCCD provides assistance to groups wanting to create affordable home ownership opportunities by starting a housing cooperative, or to parents who want to form a child care cooperative to gain affordable, high quality care with hours or other options that fit their needs. 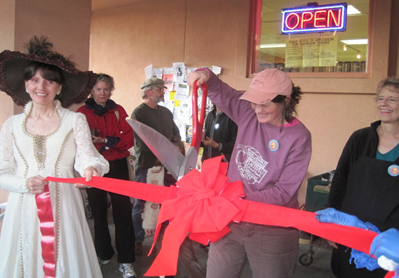 CCCD provides assistance to community groups who are interested in creating a consumer owned CSA, such as the Lake County Community Co-op, or a local grocery store that focuses on healthy, locally sourced food by forming a food cooperative, such as Placerville Co-op. CCCD helps farmers improve their market conditions and link more closely with consumers through the formation of agricultural cooperatives, for example the Hi Desert Jujube Cooperative helps members promote and market their specialty crop, and save money on supplies. Worker-owned cooperatives create local jobs and services through a business that is rooted in the community. The worker control in the cooperative allows them to equitably organize their work and share profits.